Social media today is big, huge, mammoth, GARGANTUAN. It is how the vast majority of businesses in the world market and is readily available to a global audience, thanks to mobile devices. If your school is not using social media as part of your marketing you are falling behind! We have picked several channels to highlight as TOP social media channels to build a content strategy around. Twitter has evolved to be the home of breaking news stories. It's mobile-first approach and ability to upload or link lots of types of media makes it a top channel for schools. It's real strength lies in the #SchoolStories that can be shared, as they happen! If you are interested in Twitter and how it can help market your school get in touch to talk to us about social media training or marketing strategy. share content from other social media channels. If you have great content on YouTube - share it on Twitter! If you have just uploaded a school music concert as an album on SoundCloud - share it on Twitter! Facebook is unmistakably the most popular social network in the world right now. We can guarantee that the majority of your community will be on Facebook. This makes it another essential channel to be on. 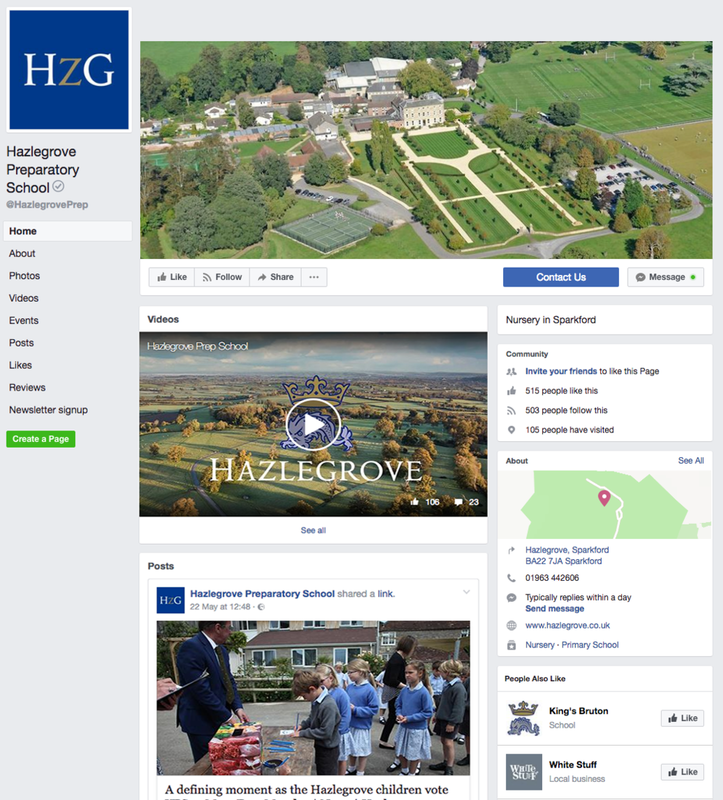 As Facebook is incredibly popular, here are a few helpful tips to make your school's Facebook Page stand out. For many Facebook users, the channel is most used in the evenings to wind-down with (whatever happened to watching Eastenders?). Plan your posts to coincide with this - one or two great posts to reflect on a day in your school - and watch your engagement rate go up. YouTube is for video - simple as! It is the second largest search engine in the world (second to Google...who own it). Schools should use YouTube to host longer videos - as a general rule of thumb, 2 minutes and over. For shorter videos, upload to your social networks (Twitter, Facebook or LinkedIn) natively. Create Playlists to cover the different aspects of your school life - i.e. sports, drama, modern languages, trips and so on - and use channels such as Twitter or Facebook to share out to your community. Instagram's considerable popularity with its core demographic (16 - 24 year olds) makes it an invaluable channel for the younger generation...your school's future prospectives. The charm of Instagram comes from its purely visual content - and offers your school an opportunity to promote all the amazing, authentic things that happen daily. 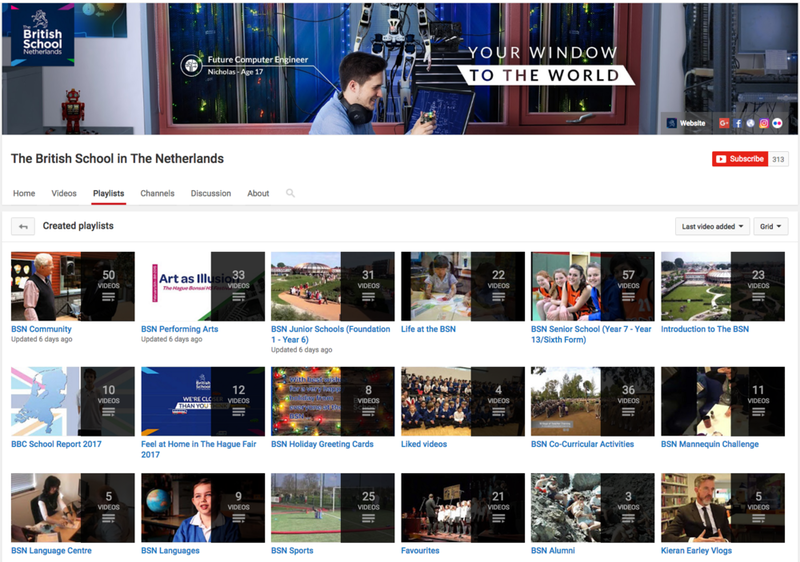 This is a channel you should be using to share the best of from your school. Flickr is similar to Instagram in as far as it is for photos and videos. However, the sheer storage space available with a free Flickr account (1TB!) makes it the best place for your school to host all its photography. Create albums to divide your pics into events and share out on Twitter, Facebook and LinkedIn. You are unlikely to get lots of followers in Flickr itself - however you will get better engagement when you share your galleries to your community. Purely for audio and a must for your music department! Record performances and upload the audio to SoundCloud to give your community an alternative media source to engage with. TOP TIP: Your school is putting on a music concert! To reach more parents you decide to LIVE-stream the evening (Facebook LIVE or Periscope on Twitter). Once the evening is done you save the concert and upload the video to YouTube - to be shared again on your social networks or even shared out in your newsletter. You also take the audio and upload to SoundCloud as an album. Nice! From one recording you have created two different media types, and so given it greater reach across your community. LinkedIn is primarily for professional networking but should not be overlooked - particularly if you are a senior school. It offers a great opportunity to stay in touch with your alumni for one! LinkedIn is also a brilliant place for sharing blog articles - they get good engagement on LinkedIn - and sharing resources pertaining to your industry or facilitating discussion. No content strategy for social media would be complete without the facility to actually monitor your content, and analyse its impact. Thankfully there are plenty of tools out there to help you manage this more efficiently. Here are some of our recommendations.